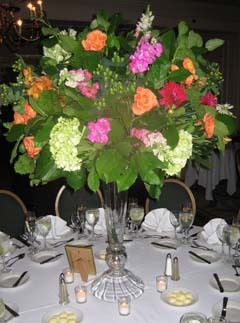 Need Ideas on how to Create Wholesale Centerpieces that look like a Million Bucks? So what bride doesn’t want to save money? With the cost of your reception, dress, honeymoon, ceremony, music, bridal party gifts, pictures and etc. you don’t have too much left over to pay full price for your centerpieces, however, you don’t want your table arrangements to look cheap. Ergo, let’s go wholesale; it's not as difficult as you might think! 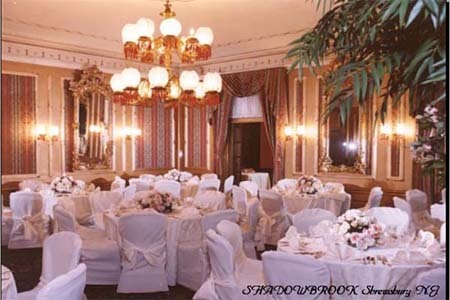 Begin by deciding what kind of wedding theme you desire. Whether you are looking for something romantic, trendy, casual, or elaborate, fresh flowers are timeless and always conjure up thoughts of love and romance. Their fragrance, color and texture make them a wonderful accompaniment to any wedding style. If you have a bit of creative talent, there is no need to hire a professional florist. You can order your floral containers and fresh flowers from a wholesaler. Most large cities have a floral district that you can visit and place your order. If you live in an area that doesn’t have a floral district, check out the Internet to find a wholesale dealer. Once you have chosen the flowers that you want, look for a reputable wholesale dealer and ask where their flowers come from, how long in advance you should place your order, if there are any special handling instructions and how many days in advance the flowers should be delivered in order to guarantee the blooms will be open without them wilting. Hint – usually one to three days prior to your wedding date is most desirable. Your vases or floral containers can also be ordered from a wholesale dealer. Typically they have a minimum number of pieces per order, for you to obtain the best price. Some brides choose silk or dried floral arrangements because of their beauty and durability. Silk or dried arrangements can be assembled weeks before your wedding and with proper care, will last a lifetime. Once again you can contact a place that sells wholesale via the Internet or phone book and strike up a price that is suitable to your budget. 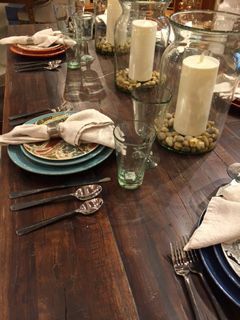 Other ideas for table arrangements that can be obtained through a whole distributor include: candles, plants, fruit, candelabras, seashells, sand, marbles, pebbles, potted plants, lanterns, feathers and whatever else your imagination can conjure up. 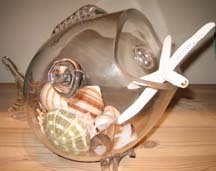 Wholesale Arrangements can also be purchased through e-bay and Craig’s list. If a bride hasn't given away her centerpieces at the reception she may look to sell her dried or silk floral centerpieces after her reception, so check your local paper and the Internet for listings. Still looking for ideas, check out my links below for more valuable insights and ideas to create memorable and inexpensive wholesale centerpieces. So you landed here. Now check out my introductory page.